We ask people who become members to support the church with “your prayers, your presence, your gifts and your service.” We have a variety of missions and ministries to help you become centered serving the church and community. Children in Grades 4-8 are welcome to serve as Acolytes for the 10:00 am worship service. Acolytes have important jobs during worship and help the Pastors administer the sacraments of Baptism and Communion. The goal of the Fellowship Ministry is to plan, promote, and coordinate fellowship opportunities for the congregation through a ministry of hospitality. 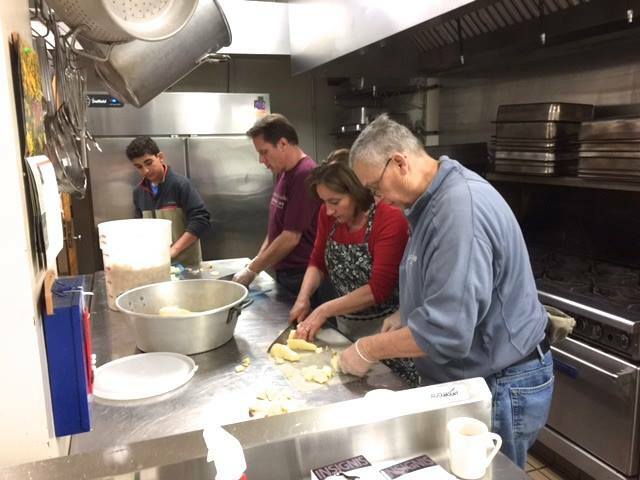 This includes coordinating Sunday morning coffee hours, planning and promoting fellowship events during the year, providing hospitality for memorial services and funerals, and helping to coordinate oversight of the kitchen and fellowship hall. The goal of the Stewardship committee is to highlight, educate and coordinate the annual stewardship campaign. The committee encourages the giving of time, talent and financial giving within our congregation. We provide quarterly updates that focus on the work of God in our world through our giving. We provide a yearly narrative budget that highlights the five main areas of Mission & Outreach, Community Connections, Nurture, Spiritual Formation and Worship. Connections provides information to our enitre congregation from people who are interested in learning more about our church to first time visitors and long time members. Our goal is to help each person connect with the ministries, programs and groups that will be most helpful in their spiritual journey. We see ourselves as the storytellers of the church and what a great story it is! 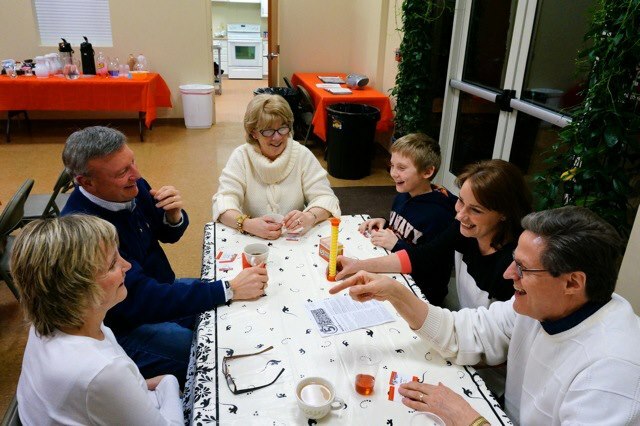 The EGUMC Volunteers in Mission (VIM) team is an intergenerational group comprised of adults and High School youth. The Volunteers in Misson travel to John’s Island South Carolina during February school vacation week. The Rural Mission Inc. was started by five rural United Methodist Churches in the Sea Islands south of Charleston, South Carolina during the mid 1960’s to meet the needs of the migrant worker community and residential aged and poor of this area. Today’s issues are multiple and in direct consequence of poverty, illiteracy and little public transportation. Our focus is on housing repair. Our volunteer group raises the funds for materials and provides the labor to complete reconstruction and repairs. $15000 is reaqised each year through fundraisers including an auction, pasta dinner and yard raking which pay for all tools, food and materials necessary. The VIM team makes a difference in the lives of many while learning the value of service to those less fortunate The mission has been successful, educational and rewarding. We invite anyone interested in learning more about this ministry team to join us! Do you like to brainstorm with others and work on hands-on projects? Then the Worship Team is the committee for you! The Worship Ministry takes a leadership role in the planning and preparation of our worship services. The team is responsible for the recruitment, coordination, and training of greeters, ushers, acolytes, scripture readers, audio visuals, and communion stewards. Team members work closely with the Pastors and Music Director to integrate church-wide themes, and assist with the preparation of visual art in and around the sanctuary. Come join this “Nuts and Bolts” team as we work together to make worship a spiritual and meaningful experience for all! The Missions Ministry provides financial and resource support to humanitarian organizations locally, nationally and internationally. Additionally, they create awareness of missions activities through in-service Missions Moments, written literature, and an annual Missions Fair, which highlights community groups and exposes our members to giving and serving opportunities. The Missions Team has participated in Service RI Week, RI Food Bank, CROP Walk for Hunger, Christ’s Community Kitchen, and the Christmas Giving Tree Program, supporting Tanner Hill, Project Outreach, Children’s Friend and Services, St. Mary’s Home, Crossroads and The Key Program. We also support the missions work of other church ministries, including Education Team efforts, the blood drives, the Ecumenical Food Pantry, and the Volunteers in Mission trip to South Carolina each year. The primary goal of the Trustees is to supervise and maintain all property and invested funds belonging to the congregation so that the ministry of the church can be effective. Trustees will oversee, and maintain all property and report on its condition to the Church Council and Church Conference. Trustees receive and administer all gifts and bequests and are responsible, in consultation with the pastor, for the use of the church building and grounds. 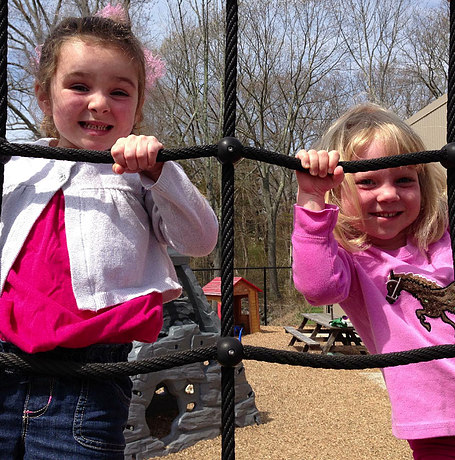 The Barbara M. Tufts Cooperative Preschool is an ecumenical venture of the East Greenwich faith communities. It was established to provide a developmentally appropriate nursery school experience with openness to the uniqueness of all children, without regard to gender, family origins, economic situation or religious affiliation. Our Church provides the space for the school at no cost, so that the Cooperative can offer a sliding fee scale and no child is ever denied access for financial reasons. The goal of the Finance Committee is to nurture the financial vitality of the congregation. To work to achieve this, the committee focuses on missional budgeting and fundraising, financial transparency, and assuring that financial best practices are followed. We work with the ministries of our church to develop annual budgets for their missions, and with the Stewardship Committee to provide resources to support those areas. By providing regular monthly reporting of income and expenditures, and doing this in a clear and consistent manner, we help the work areas of the church to support their programs. Summary information is provided to the entire congregation on a regular basis. By sharing this information in a consistent manner, we help provide transparency into our financial activities. Also, annual audits are conducted in compliance with UMC standards. The Committee engages in practices that help assure our current financial health and long-term sustainability. This includes actions such as complying with both UMC and legal regulations and guidelines for receiving, handling and investing funds, properly recording and reporting receipts, and making sure that Mission Shares are funded. You can learn about more opportunities at east greenwich united methodist church at our Welcome desk in the lobby, or by Contacting our church Office.